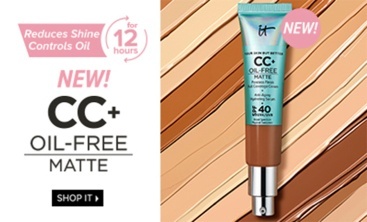 The next generation of IT Cosmetics full coverage foundation. This Illuminating product features the same good for you, skin-loving formula as original Celebration Foundation but with the added element of Illumination to add a subtle touch of radiance to your skin! Enriched with Hydrolyzed Collagen, Peptides and Anti-Oxidants for the soft, candlelit glow complexion. This full coverage foundation is infused with Niacin, Hyaluronic Acid, Rose, Silk and Aloe. 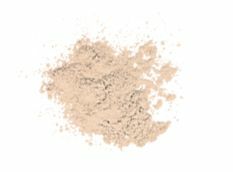 ACTIVE INGREDIENTS: TITANIUM DIOXIDE 20% ZINC OXIDE 16% INACTIVE INGREDIENTS: MICA, LAUROYL LYSINE, ZINC STEARATE, ETHYLHEXYL PALMITATE, AQUA/WATER/EAU, SILICA, PHENOXYETHANOL, NIACINAMIDE, RETINYL PALMITATE, SERICA/SILK POWDER/POUDRE DE SOIE, TOCOPHEROL, GLYCINE SOJA (SOYBEAN) OIL, HYDROLYZED COLLAGEN, SILICA DIMETHYL SILYLATE, ASCORBYL PALMITATE, ALOE BARBADENSIS LEAF EXTRACT, CAMELLIA OLEIFERA LEAF EXTRACT, CAMELLIA SINENSIS LEAF EXTRACT, CARICA PAPAYA FRUIT EXTRACT, CHAMOMILLA RECUTITA FLOWER EXTRACT, OLEA EUROPAEA FRUIT EXTRACT, PUNICA GRANATUM EXTRACT, ROSA CANINA FRUIT EXTRACT, VITIS VINIFERA SEED EXTRACT, GLYCERIN, BUTYLENE GLYCOL, CARBOMER, PALMITOYL TRIPEPTIDE-1, PALMITOYL TETRAPEPTIDE-7, POLYSORBATE 20, BHT, CHOLESTERYL CHLORIDE, CHOLESTERYL NONANOATE, CHOLESTERYL OLEYL CARBONATE, HYALURONIC ACID, [+/-: IRON OXIDES (CI 77499, CI 77491, CI 77492)]. Allow your skincare and primers to fully dry before applying. 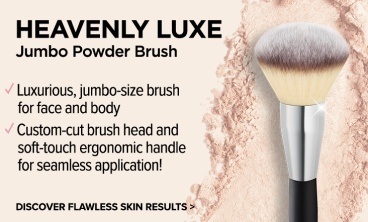 Swirl your favourite IT Cosmetics brush into compact, then buff onto your skin. Repeat for additional coverage. Buff in circular sweeping motions, then down and outward for natural-looking results. 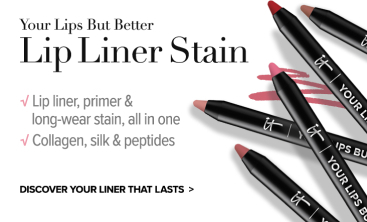 This makeup bag mus-have is completely portable for easy touch-ups on the go! Celebration Foundation Illumination is rated 4.4 out of 5 by 194. Rated 5 out of 5 by TammyFur from Natural looking powder I am fairly new to IT. I tried this and since I bought it I have used it as a finishing powder with the different foundations I use. It is a little too dry for me to use alone, but my skin needs moisture so this is why I use it as a finishing powder. This glides onto my skin. It does not look cakey. 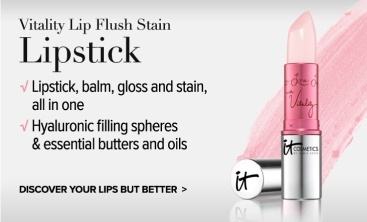 It does not get "stuck" or make my skin look dried out. It gives a very nice finish. This lasts for a long day. I am sensitive to many sunscreens, but the one in this powder does not bother me. This powder feels comfortable and does not make me look made-up. 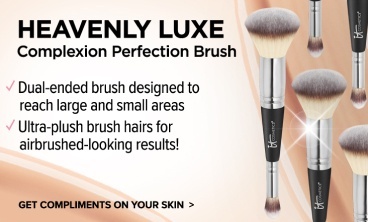 I use an IT brush to apply it and that works great, too! Rated 5 out of 5 by Penny H from LOVE! I am on my second compact of this foundation and I am hooked. 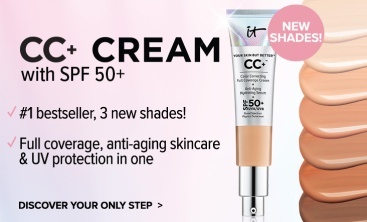 I started using It Cosmetics Bye Bye Foundation about 2 years ago, then converted to BB Cream because I don't like/need a the heavy coverage. When I found this I immediately fell in love. I work swing shifts as a medical professional and often get only 5 -6 hours of sleep a night (or day), so every second counts. I can apply my Serum 50 and Celebration Foundation...blush, shadow, lipstick...in less than 8 minutes and look fresh for a full 12 hours! WOW, I am hooked!!! My skin has never looked or felt better. I use the entire line from cleanser to moisturizers and I am amazed at the quality. 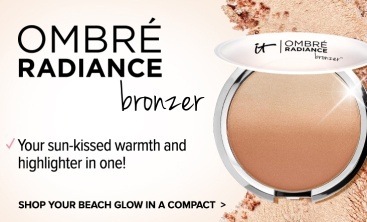 Rated 5 out of 5 by Kimb3 from Great flawless coverage! 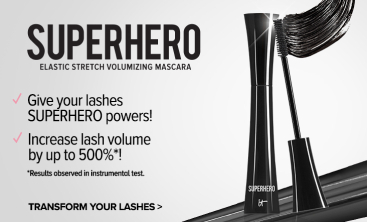 I have been using this product for about 3 years no. It is game changing! I use it to set my IT CC cream for a full coverage finish, as well as swirl on over bare skin for a 30 second out the door flawless face. It has sunscreen and that's just one of its added bonuses! 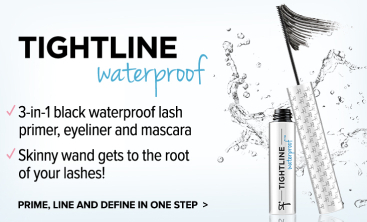 If you need natural looking full coverage without looking like you have makeup on, this is a must have product! I could go on and on about all products from IT I use daily, but that would take all day. Trust me, everything you hear and read is true. Buy this and you will see for yourself! Rated 5 out of 5 by Rbb3 from So Quick and Easy! I have rosacea and dry, acne prone skin so thought I would give this product a try. This is the first powder foundation I’ve ever had so was really pleased at the coverage and how quick and easy it is to use! I was worried powder foundation would look bad on my dry skin but the illumination gives a beautiful glow. It did settle into some lines on my forehead at first but when I moisturised more and put less product in that area it really improved. I use shade Fair which is slightly too dark for my skin so I’m hoping It Cosmetics will make a lighter shade soon! Overall I’m really pleased with my purchase and highly recommend! Rated 5 out of 5 by Lwf9408 from Great coverage I'm a 70 year old with dry, sensitive skin. The coverage is excellent without being heavy. It's easy to apply as well. I purchased the "light" but am getting another one in medium for when I'm in Florida with a tan. Rated 5 out of 5 by marianwestern from Best Foundation I've been using this product for a while now, and love it. I have excessively oily skin and suffer from adult acne and this product has never aggravated the condition. I love the texture and the way you can build the coverage. I also have very fair skin and the fair shade matches my skin perfectly. Very blendable, and it's amazing what a difference a bit of this product makes. It's my go-to. 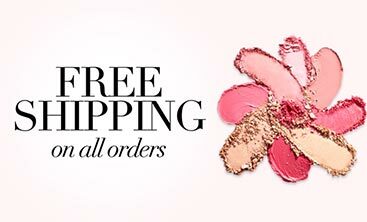 I'm impressed and very pleased with the quality of everything in IT's product line that I've tried. Thank you for such a quality product that doesn't cost a ridiculous amount...I'll always be an IT user. Rated 1 out of 5 by AMM87 from Disappointed I really thought I would love this product because I had heard good things, but I was disappointed. Even though it is the lightest shade, the color is still rather dark and unnatural looking. Also, it is advertised as never cracking or settling into creases, but I found the opposite to be true. I am young and don't have many wrinkles, but I do have a few forehead creases and some smile lines. This product settled RIGHT IN! It was rather embarrassing :/ And finally, it does leave me looking oily after an hour or two - and I don't have oily skin.